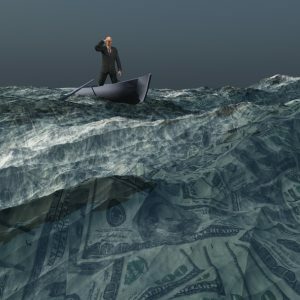 Analysts of the global capitalist economy are pessimistic about current trends; they are right to be worried. The international economy operates in pulses called Kondratiev waves. These K-waves consist of an expansionary upswing of about 15-20 years, followed by a downswing of similar length. We are now in a downswing that could last till the 2030s. K-waves work like this: Social and economic conditions mature to spark a runaway investment boom in the latest cluster of new technologies. After a period, excess investment and increased competition lower rates of profitability, curbing the boom. At the same time, growth expands the global workforce. The new workforce launches social struggles to capture some of the wealth created in the boom, squeezing profits. The peak and early down-wave are characterized by violent social conflicts, whose outcome determines the length of the contraction. There is a dispute about where we are on the current K-wave. Economists convinced by the Kondratiev theory largely agree there was a strong up-phase following WWII, lasting till the early 1970s. The dispute concerns what happened next. Currently we have US high-tech dominance; Europe, on the other hand, is in decline. The crisis of the EU, Brexit included, results directly from this geopolitical shift. The downswing results from more than the 2010 financial crisis. There has been a wave of Asian working-class resistance to exploitation, which has eroded profits. In the West, wages have flatlined. As a result, goods can be sold (and profits maintained) only by bolstering consumption through easy personal debt. That makes the Western capitalist model unsustainable and prone to endemic bank failure. The banks are covering up this chronic instability via wholesale fraud. As a result, we are nowhere near the bottom of this K-wave.